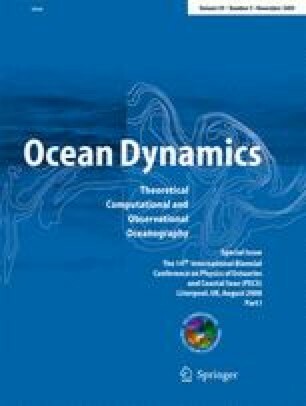 In recent years, various attempts have been made to estimate the amount of numerical mixing in numerical ocean models due to discretisation errors of advection schemes. In this study, a high-resolution coastal model using the ocean circulationmodel GETM is applied to the Western Baltic Sea, which is characterised by energetic and episodic inflows of dense bottom waters originating from the Kattegat. The model is equipped with an easy-to-implement diagnostic method for obtaining the numerical mixing which has recently been suggested. In this diagnostic method, the physical mixing is defined as the mean tracer variance decay rate due to turbulent mixing. The numerical mixing due to discretisation errors of tracer advection schemes is defined as the decay rate between the advected square of the tracer variance and the square of the advected tracer, which can be directly compared to the physical variance decay. The source and location of numerical mixing is further investigated by comparing different advection schemes and analysing the amount of numerical mixing in each spatial dimension during the advection time step. The results show that, for the setup used, the numerically and physically induced mixing have the same orders of magnitude but with different vertical and horizontal distributions. As the main mechanism for high numerical mixing, vertical advection of tracers with strong vertical gradients has been identified. The main reason for high numerical mixing is due to bottom-following coordinates when density gradients, especially for regions of steep slopes, are advected normal to isobaths. With the bottom-following coordinates used here, the horizontal gradients are reproduced by a spurious sawtooth-type profile where strong advection through, but not along, the vertical coordinate levels occurs. Additionally, the well known relation between strong tracer gradients and high velocities on the one and high numerical mixing on the other hand is approved quantitatively within this work. The presented work has been carried out in the framework of the international QuantAS Consortium (quantification of water mass transformation processes in the Arkona Sea), which is partially supported by the QuantAS-Off project (QuantAS—Impact of Offshore Wind Farms, funded by the German Federal Ministry of Environment, Nature Conservation and Nuclear Safety) and the QuantAS-Nat project (QuantAS—Natural processes, funded by the German Research Foundation).